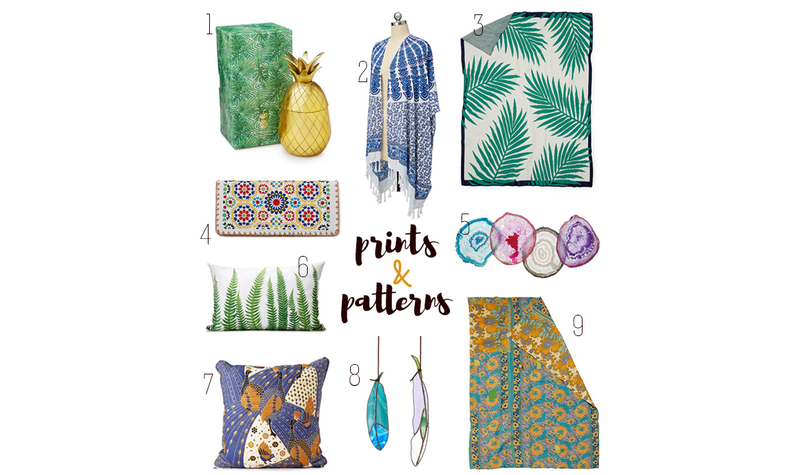 I’ve always found inspiration in colorful prints and patterns, especially when it comes to botanical, nature, or worldly patterns. There’s times I’ve been so inspired that I’ve even turned that print into cake-form, like when I made my Martinique Wallpaper cake or my Otomi Embroidery cake. Even if the result isn’t a baked or crafted good, the inspiration that comes from the particular pattern is always a nice mental experience…meditative-like, if that makes any sense. While I used to keep things pretty minimal in terms of home decor, I’ve found myself including pops of bold and colorful patterns into our new home, which has certainly brightened things up…and has created a more personalized space. When it comes to unique decor items, UncommonGoods is an amazing site that offers a myriad of one-of-a-kind, beautiful items for you, your home, or a perfect gift for literally anyone in your life (there really is something for everyone!). 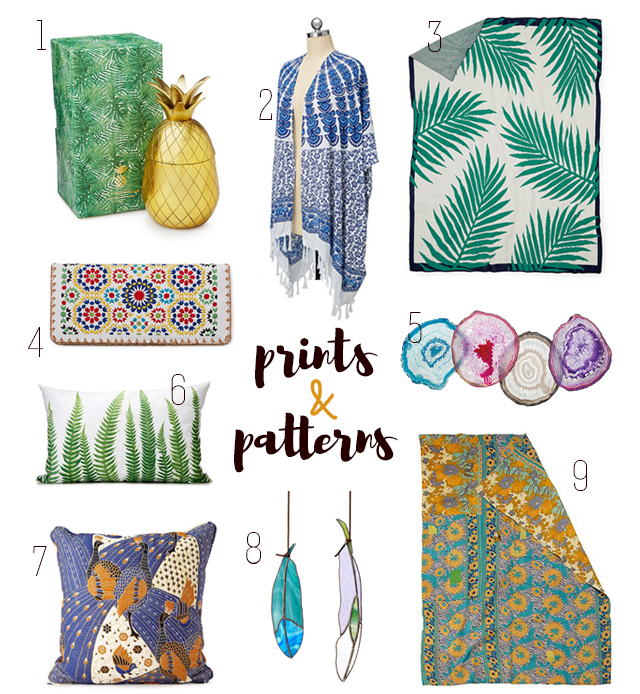 And speaking of beautiful patterns and prints, there are so many gorgeous items to choose from – like THIS eco-friendly palm throw, THESE gorgeous agate coasters, or THIS colorful mosaic wallet that was inspired by zellige, the lavish tilework that adorns Moroccan mosques. What I really like about UncommonGoods is that many of the items are made by small-business artisans or artisans working collaboratively in a low income country. Smart, eco-friendly shopping – something we all need to get behind! Here are just a handful of items I’ve admired from the site. *Thank you to UncommonGoods for sponsoring this blog post! 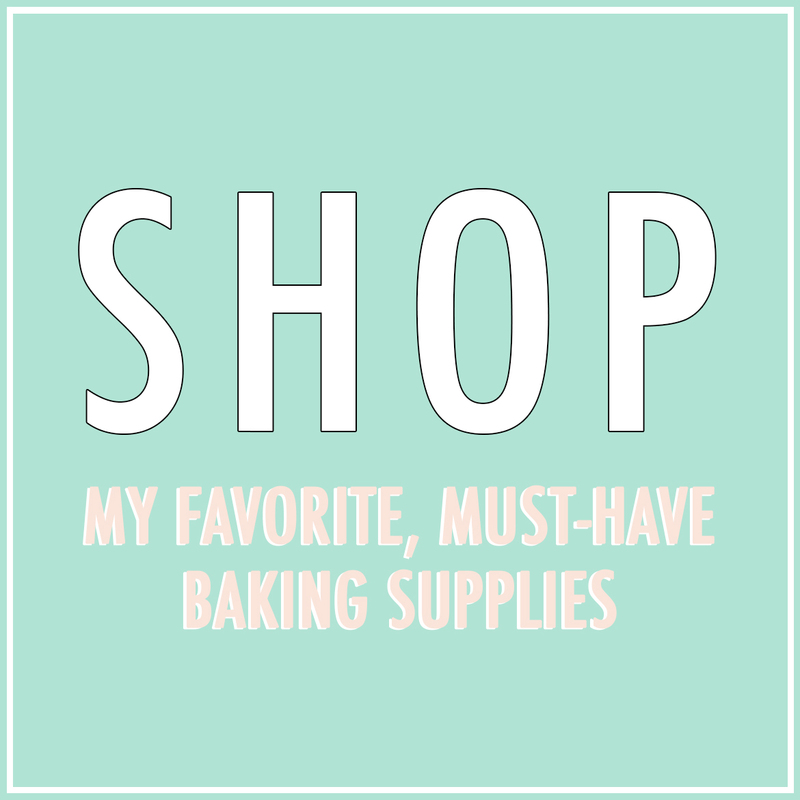 You can see some of their great gifts and gift guides HERE.